The 10 Best Places for a Kid’s Birthday Party in Kentucky! 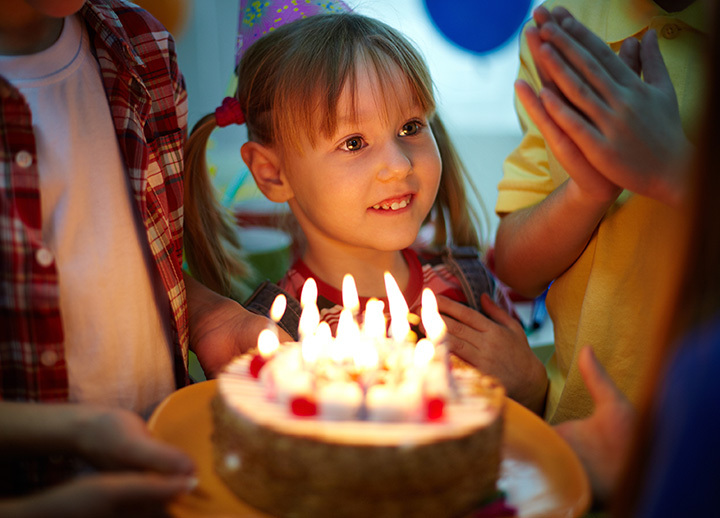 Planning a birthday party for your child is fun, but sometimes it can be a little overwhelming with all the details. It’s nice to know there are places that specialize in hosting parties and can take some of the work out of planning and executing this happy event. The great birthday party venues of Kentucky provide lots of smiles and laughs without the hassle. Here are our favorites. Imagine having your child’s next birthday party in a place that has wall-to-wall trampolines! Since kids never stand still for long, there’s no better place to celebrate than at Sky Zone Trampoline Park in Lexington, Kentucky. Even the adults in attendance will want to get in on the action when they see how many ways you can play, and even non-jumpers will have a ball watching everyone else flip and bounce on the soft mats. Completely safe and clean, there are a few rules when you get there, but all are easy to obey. A second location is located in Jefferson, Kentucky. Birthday and family fun has never been this cool! Renaissance Fun Park in Louisville is the perfect place for a great time. You can take the easy way out of planning your next party by choosing this park with three different plans that can include laser tag, go-karts, the game arcade and miniature golf course complete with its own waterfall. Food, beverages, and prizes can also be included in a budget that fits your wallet. All parties have a 10-guest requirement and the recommended age is five and up. Most parties last about three hours. Don’t have time to plan and set up that special celebration you want to host? No problem! Bring the party to you with Honey Hill Farm’s mobile petting zoo. The main goals of this unique traveling party are to bring people and animals together and make sure everyone (including the animals) has a good time. This is the perfect answer to bringing a pony to children who might not get to experience riding otherwise. Fully committed to caring for our four-legged friends, this is not a typical petting zoo. The animals featured are well cared-for and part of the proceeds for the mobile zoo goes to support animal shelters and rescue centers around the state. Planning a birthday party for the next Mario Andretti? Then book it at Bluegrass Karting & Events in Louisville, Kentucky. Knowing that kids of all sizes and ages like the thrill of racing around the track, there are adult, youth, and kid karts for specific age groups, and everyone 18 years-old and under have to have an adult sign a waiver for them. Speed is dependent on the type of g-kart, and there are suggestions for what to wear on the website. Parties have a minimum number of guests but include the use of the go-karts and are priced according to the package you select. No outside food or drink is allowed, but can be included in your package, and there is a concession stand available. Birthday cakes are the exception. This very popular history and science center is a great place to consider for that special event or birthday party coming up. Everyone from babies to senior citizens can enjoy the things offered at The Highlands Museum & Discovery Center located in Ashland, Kentucky. The best thing about this museum is that nearly everything is interactive, meaning there’s no end to the fun except for your imagination. Some of the exhibits change and some are permanent, but there have been past exhibits that included a puzzle garden, a puppet dog house, and various displays that feature quilts, sports paraphernalia, and artwork. Admission is only $5 for everyone except those under two years-old. The museum is closed Sundays, Mondays, and early on Fridays. 1990 was the year this international animal park opened to the public and it’s been going strong ever since. Kentucky Down Under in Horse Cave is open year round and features some of the unique animals and birds found in Australia. You can tour Mammoth Onyx Cave, see sheep dogs herding their wooly charges, pet a kangaroo, and have brightly colored Rainbow Lorikeets perch on your arms. Kentucky Down Under is perfect for an educational field trip for your group and birthday parties are always a success. You can even have box lunches included in the cost of your package that take the hassle out of planning that. If you’re planning a party and want to make sure at least part of it happens in the great outdoors, you might want to consider having it at the Salato Wildlife Center in Frankfort, Kentucky. Sponsored by the Kentucky Department of Fish & Wildlife Resources, this education center lets you see bald eagles, bison, black bears, bob cats, elk, deer, and a number of birds like quail and waterfowl native to the area. You can see the beauty of the surrounding forests and enjoy the outdoor aquarium to see the fish that live nearby. A special exhibit lets visitors see raptors up close and helps protect them and their habitat. You’ve come to the right place for entertainment and fun for all ages when you select Mr. Cowpie’s Party Animals to help with your birthday party celebration. Located in Alexandria, Kentucky, Mr. Cowpie’s Party Animals offers pony rides, has a petting zoo, and lively music by Mr. Cowpie himself! This family-owned business isn’t just for the young ones, though. Business, school, and church events can all be hosted here as long as everyone enjoys having fun. For plenty of excitement, lots of laughs, and some moo-sical fun, include Mr. Cowpie’s Party Animals for your next party. Love the idea of having a birthday party that’s fun but hate the idea of the work planning, setting it up, and cleaning afterwards? Let Monkey Joe’s in Lexington, Kentucky take the worry and work out of it. With a play center that includes inflatable slides, bounces, and obstacle courses, you can’t go wrong here because every kid loves to bounce. There’s also an arcade and concession stand, and you can book a private room just for your party. Parties are two hours and include unlimited playtime for the attendees, all the setup, serving, and clean up. There’s even a special birthday gift for the guest of honor and souvenir cups for the other guests. You can choose from three different themes: a jungle experience, island excursion, or extreme safari adventure. They say it takes a village to raise a child, but at Totter’s Otterville, there’s a village to make birthday parties fun! Located in Covington, Kentucky, Totter’s Otterville is a unique play center and discovery zone where kids from birth to age 10 can explore and engage in fun and educational play. This peanut-free entertainment zone is safe, clean, and secure, and is family owned and operated. Children learn through playing and here, they’ll have the opportunity to experiment, pretend, and engage with others and are only limited by imagination. Birthday parties are typically two hours with a minimum of eight children and a maximum of 30. You can bring your own cake and drinks, and a variety of party plans are available that fit your budget.